And everyone who supported me! I always loved the feeling of my first Dark Souls run. Everything felt fresh and new and I did not know where deadly enemies lured around. But with every run the game felt less "exciting". Dont get me wrong, Dark Souls is still one of the best games ever made. But the feeling was different. I knew all the enemy positions and also NG+ did change nothing aswell (congratulation to DS2 for actually changing things in NG+ cycles...). I just wished it would be possible to erase my memory and experience the game like it was my first time...but sadly this is not possible yet. But then I found out about all the awesome modding tools that exist for Dark Souls 1. This mod is a huge lore-friendly expansion that tries to make you experience a fresh but also familiar Dark Souls! Why are there no images? 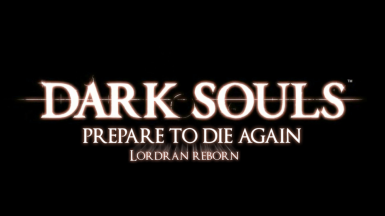 "Mod is saying that I am using the wrong version"
Make sure that you are using the steam version of Dark Souls: Prepare to die again. Right click on the game in your library and open the settings. Switch to the Beta-Tab and make sure that you are not using a beta version here! After that the mod should run fine. You have to play the game in english or german to get all the new texts! Otherwise they won't show up. If you can speak two languages fluently and want to help me translate the mod, feel free to write a message. for detailed info you can take a look at this Spreadsheet﻿. Until now I have spent almost a year in creating and updating this mod so I hope that you like it! If so feel free to endorse my mod, share it with your friends or tell me how much you liked it! If you encounter a bug please make sure you are using the latest version of the mod. Also check if your problem is addressed in the changelog. Feel free to check out my other mod "The Breath of the Soul"
ps: Don´t forget to track my mod so you don´t miss the latest update. Huge thank you to the following persons (Name that was shown to me in the donation) that have supported me by donating! You are SO awesome and I can not thank you enough!